As is always the case at ERV, we have had a busy, buzzing, month of May. Starting with the performance of our Early Years students, a most successful event that saw all teachers and teaching assistants working together to make it a reality. The students were stars and overcame any stage fright and I am sure the presence of their parents served a lot to reassure them. Thank you parents for attending in such large numbers and a huge thank you to Mme Perkins and her team. We held Inter-House Basketball both in the primary and secondary part of the school. Special thanks to the PE team, led by Mr Welford, for making it a successful tournament. As I watched those matches, I wondered whether our students fully appreciated the quality of the coaching and refereeing they were receiving from a most experienced Mr Samo and from Mrs Mootoosamy, a former national and international basketball player. Our Genius Olympiads finalists continue to work tirelessly, sacrificing weekends and lunch times in preparation for their Robotics competition. They leave for New York at the end of this week. We wish them success and trust that whatever the outcome, they will come back from this incredible experience grown, enthused and ready to inspire the rest of the school. This inspiration has already spread as we see the development of Primary Robotics. The younger ones are working with Lego WEDO to build their robots, using Lego blocks and sensors, after which they program their robots using iPads. Can we aspire to become the reference on the continent of pre-tertiary education in robotics? I would like to think so, and we have taken serious steps towards this. We are currently hosting another edition of our increasingly popular ‘Open de Tennis’ and I seize the opportunity to invite you to the grande finale this Saturday 9th of June. I am promised it will be quite an event. Recently we also held the Art exhibition and I would like to personally thank all of those who made the effort to visit this equally successful and inspiring event. Ms Phillips and her students put on a truly aesthetically pleasing show and have set the standard high for art at ERV. After securing a partnership with Greenhills Academy, Rwanda, last month, we are pleased to announce our partnership with the esteemed African Leadership Academy (ALA), Johannesburg. We were initially expecting to welcome Greenhills on our campus this term but will instead be welcoming them at the beginning of next term and they have confirmed their willingness to participate in ERVMUN II after learning of the huge success of ERVMUN I earlier this term. As for ALA, we are pleased to announce that some of our students who have decided to join the Global Leadership Program they host over the summer holidays. ALA will also use our grounds to hold a bootcamp on leadership and you will be hearing more about this soon. We are very proud to call these two prestigious institutions our friends and partners. The last time I wrote to you, our first IBDP cohort were commencing study leave. As I write to you now, they have completed their exams. 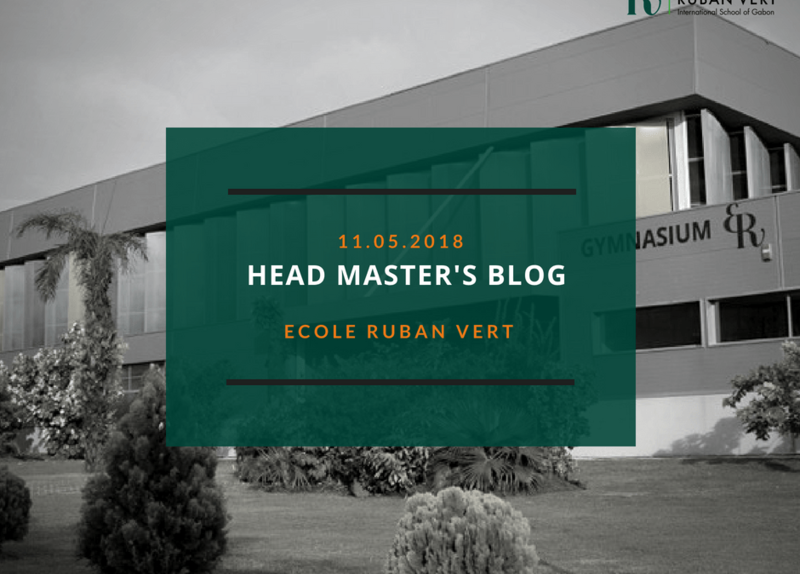 This is not only the first time in the history of ERV but also the first time in the history of Gabon that the International Baccalaureate Diploma Programme Examinations have taken place on its soil. We are immensely proud to have been the pioneers and hope that all constituents, including you parents, are equally as proud to be part of this. Our IGCSE examinations still have a few weeks to go, and we trust that our students are giving the very best of themselves after having made good use of their study leave. In my previous correspondence, I mentioned the visit of a CIS team who left with a very good impression of our school. On the 15th of May, we received a positive correspondence from CIS confirming that we had successfully been granted candidate status for CIS Accreditation. The report came with a number of commendations but also clear recommendations and a timeline. By now you should have received a request to participate in a survey for this CIS process. It would be to the benefit of all that we make our best effort to respond to this survey, as it will be central to our progress towards CIS accreditation. I know I can trust on your full involvement and participation and so thank you in advance. on the 4th of May we received the confirmation that we had addressed all matters needed to be authorised by the International Baccalaureate to offer the International Baccalaureate Primary Years Program. On the 16th of May we received our official authorisation letter, which was soon followed by a certificate. My warmest congratulations and thanks to Mme Babin and her team who have worked assiduously to make this a reality. This subsequently allowed us to move from affiliated to full membership with the African International Schools Association (AISA), assuring that we are recognised as part of the top tier international schools of Africa. The month of June will lead to the end of term but most importantly the end of year examinations. Nothing should distract us from this and we continue to make sure quality education remains the main focus of our school.